The Striped Ebony line has a deep brown body with reddish-brown striping, finished in satin for a natural look. The light colored Maple rosette and binding creates a nice contrast to the Ebony body. 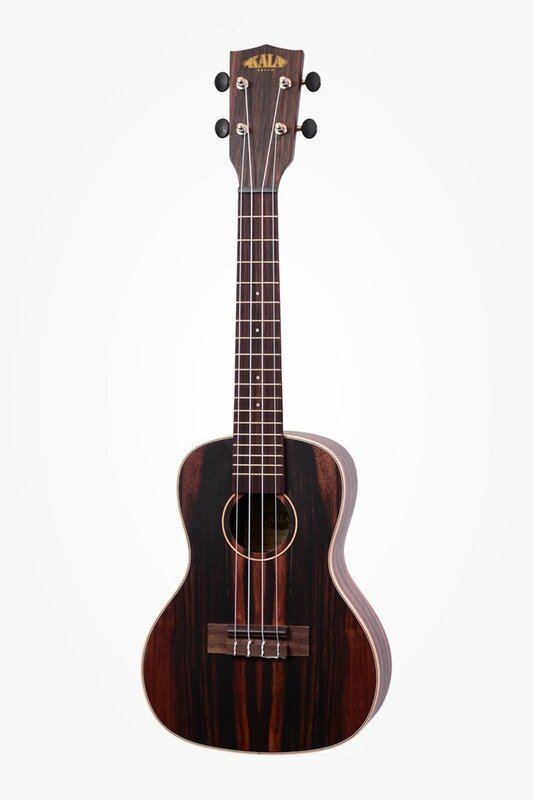 Available in soprano, concert, and tenor models—tenor also available with electronics.